The Pixel 2 and the Pixel XL 2, two of the most anticipated Phones of the year, will lack a very basic feature, the headphone jack. According to multiple rumours, Google is apparently ditching the 3.5 mm headphone jack with Courage…. There have been a few Pixel 2 case leaks (which you can order from MobileFun’s website) which had no cutouts for the headphone jack, and according to 9t05Google's Stephen Hall, who claims he has seen the internal documentation of the devices, the rumours are ture. And this can mean only one thing, the phones will only have a single USB Type-C port, which will act as the charging connector, and a headphone port. Now, this is going to be an unpopular move, as many users tend to charge their devices and listen to music at the same time. Also, you will probably need to buy a new pair of USB Type-C headphones, or use a USB Type-C to 3.5mm adapter, to use your standard headphones. Why is this happening? Well, with ditching the 3.5 mm headphone jack, Google could effectively make the Pixel 2 and Pixel XL 2 waterproof, or might make the device to be slimmer. That’s just our speculation though. But then again devices such as the Galaxy S8 are IP67 rated for waterproof, and still has a 3.5mm audio jack and looks sleek. Remember this mockery of the iPhone 7? 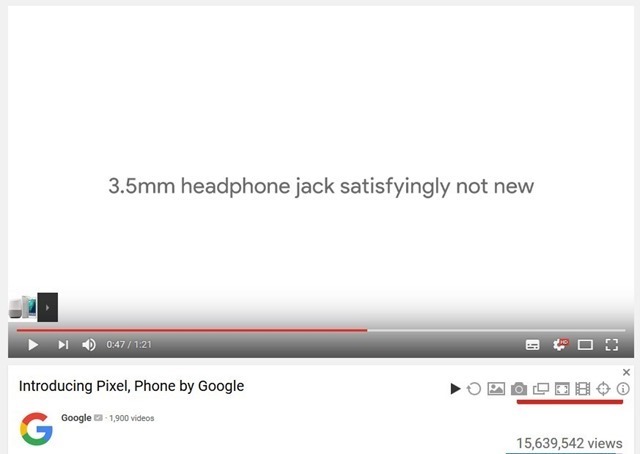 Google better have a good reason for skipping the headphone jack now, rather than claiming 3.5mm is dead.